35 Acre Horse ranch on MAUI. Direct Ocean front Amazing Equestrian Dream. Priced to sell immediately. NOW PRICED $750,000 below appraised value. If you have been waiting for the perfect horse property, this is it. Currently, a world known ranch offering over 35 acres of land, multiple horse trails, arenas, stables, and unsurpassed views anywhere on Maui. Ride your horse down to the ocean frontage and enjoy the views, whales jumping, and cool Maui Breezes. This property is located in one of the most special places in all of Maui. The home is beautifully appointed with cherry hard wood floors, granite kitchen, and travertine in the bath. The best part is the wrap around lanai that takes in the breathtaking direct ocean front views. You can't help but fall in love with this beautiful property from the moment you step foot through the large stone fence and ranch arch. The property has a meeting area, car ports, multiple barns, and fantastic stables. There is plenty of parking for you and your guests. Keep the property just for yourself and your horses or use it as this is a turn key business. Property can be sold with horses. Your natural retreat if filled with beautiful animals including horses, peacocks, bunnies, chickens, and ducks. You canât find a better deal on all of Maui. DONâT WAIT. This is a once in a lifetime opportunity so donât miss it! Make your offer today. Do not enter the property without scheduling an appointment first as this is an active business. Plan for 1 hour for showings. Private permitted and tested wells on the property. More photos coming soon. 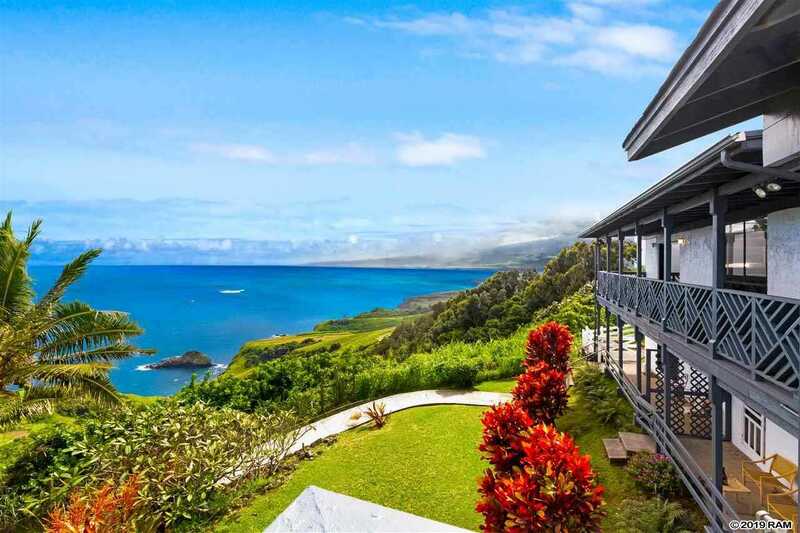 Please, send me more information on this property: MLS# 381683 – $4,250,000 – 3530 Kahekili Hwy, Wailuku, HI 96753.